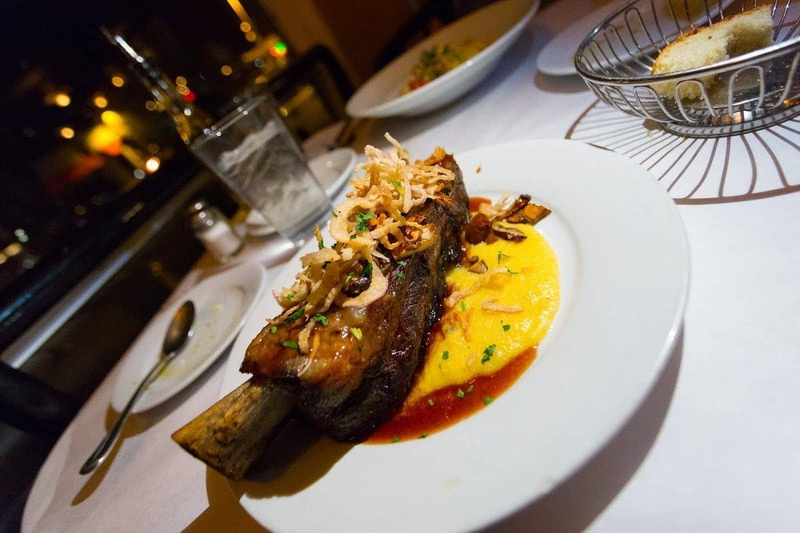 Home » Destinations » North America » USA » The Best Restaurants in Albuquerque: From Diners to Fine Dining! As part of our five week adventure exploring New Mexico we spent a number of days in Albuquerque, both to attend the Albuquerque International Balloon Fiesta and also to explore Albuquerque itself. We had a lot of fun doing both of those things – but one thing I’ve so far failed to mention is all the excellent food we had in what we think are some of the best restaurants in Albuquerque. 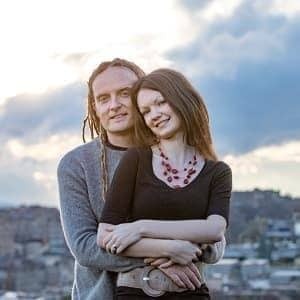 New Mexican cuisine is an absolute delight, with a focus on the chilli plant, and we were thrilled to eat at some fantastic restaurants during our time in Albuquerque – me for my first time, and Jess returning to a city she used to live in. With that in mind, I wanted to share some of our favourite places to eat in Albuquerque, covering both New Mexican food and some other options. Some of these locations were new to both of us, others were favourites of Jess’s that she wanted to share. 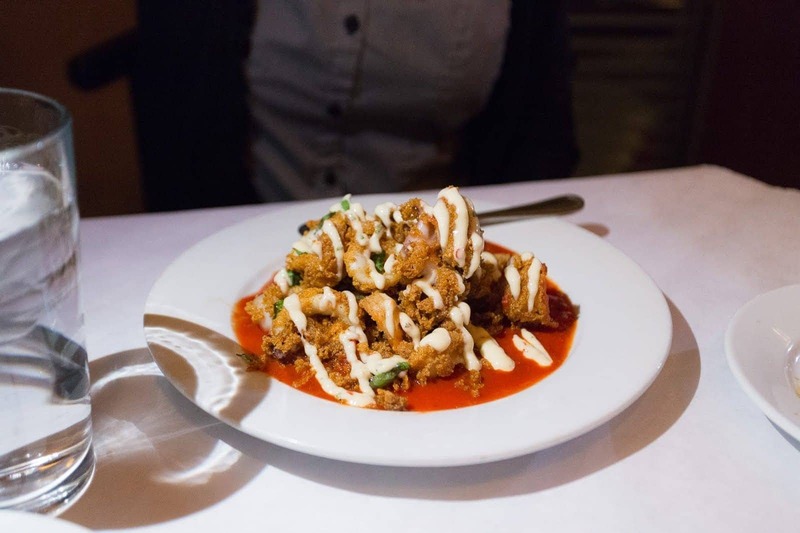 Whatever food you’re into, I’m sure you’re going to find something you’ll love from the following choices, which we think are amongst the best restaurants in Albuquerque! 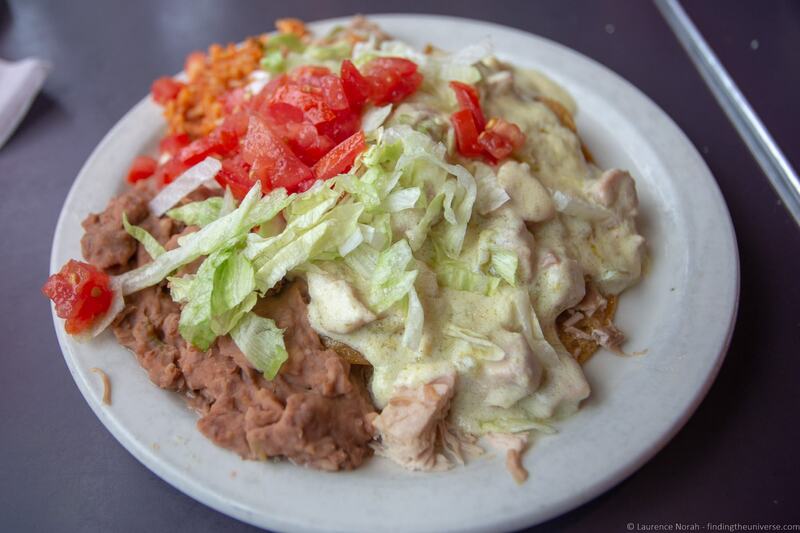 When we arrived into Albuquerque, Jess was craving some New Mexican dishes, and so one of our first stops was an old favourite of hers – Sadie’s. 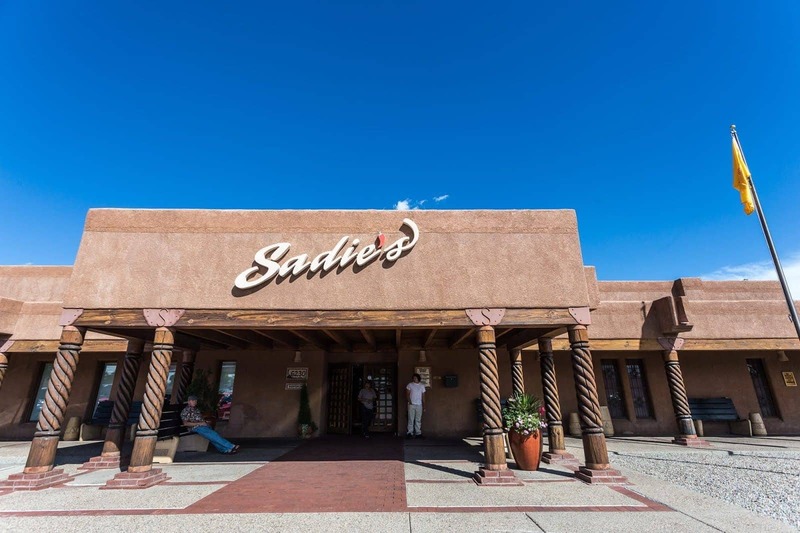 Sadie’s is a New Mexico institution, started in the 1950’s and now expanded to three Albuquerque restaurants – all focused on serving up classic New Mexican cuisine. 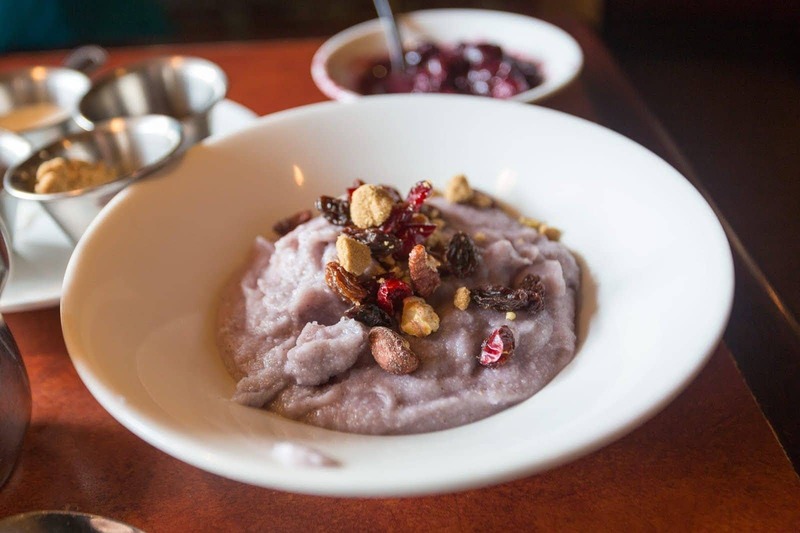 If you’re not sure what that means, New Mexican food is a cross-over between Native American staples and the supplies that Spanish settlers had on them – resulting in a cuisine that features blue corn, squashes, chile peppers, flour, and pork. Add in a heaping of beans and cheese, and you’ve got the idea. Nearly every dish (ok, every dish) comes with red or green chile (or both, if you ask for it Christmas style) – a sauce like affair that is the signature of New Mexican cuisine. Back to Sadie’s. 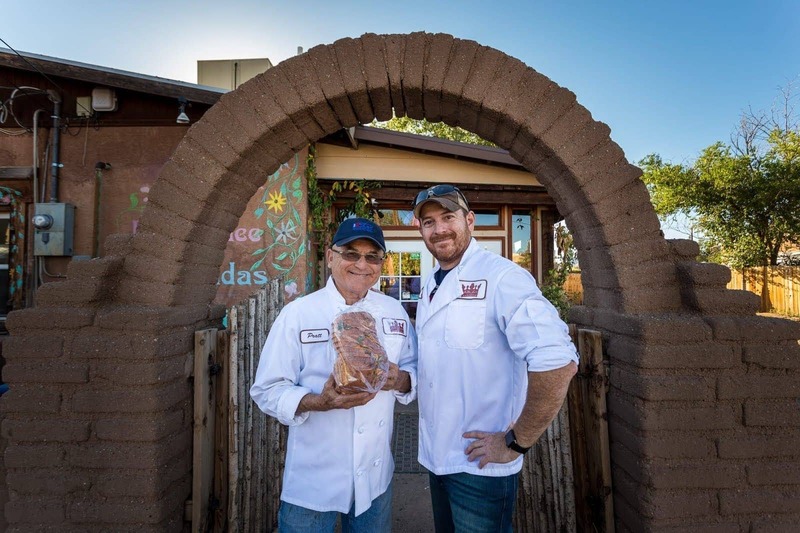 As I said, they’ve grown beyond their initial roots, but are still famous for serving up good, no-fuss New Mexican food, and are particularly known for their home-made salsa. We had a huge pile of all things New Mexican, and can happily recommend that you do the same. Speaking of Native American culture, a visit to the Indian Pueblo Cultural Centre is well worth it when in Albuquerque, as I already mentioned in my post on my favourite things to do in Albuquerque. Here you can learn about the 19 surviving Native American communities in New Mexico – everything from their history, through to their art, cultures and food. But what better way to learn about their food than by eating it? 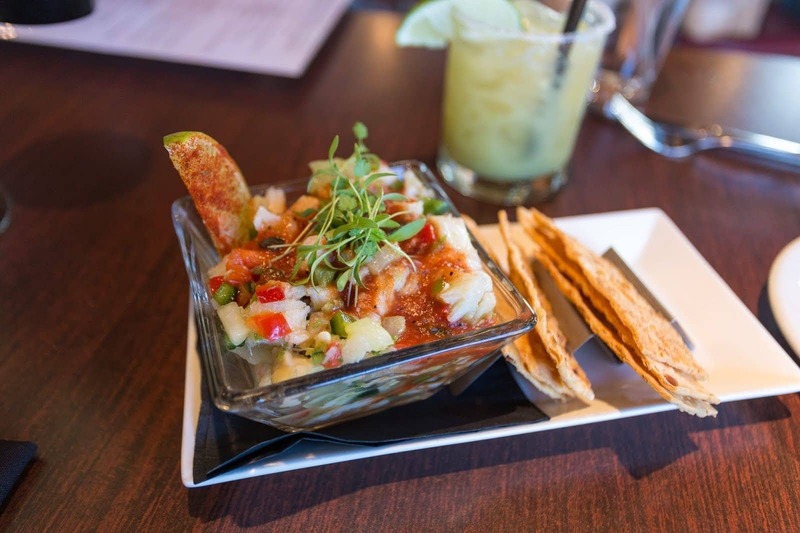 Which is just what you can do at the on-site restaurant – the Pueblo Harvest Cafe, where they serve up Native fusion fare, incorporating Native flavors and ingredients into contemporary meals. We visited for breakfast, and it’s safe to say that this was a truly excellent feast. 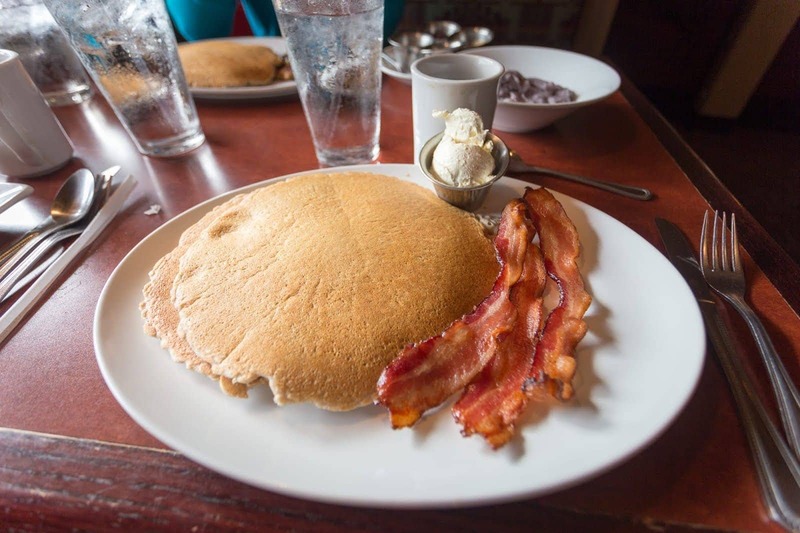 We tried a variety of dishes, and I can highly recommend the blue corn pancakes – although we feel you won’t be disappointed with anything on the menu. Definitely a good place to eat in Albuquerque. 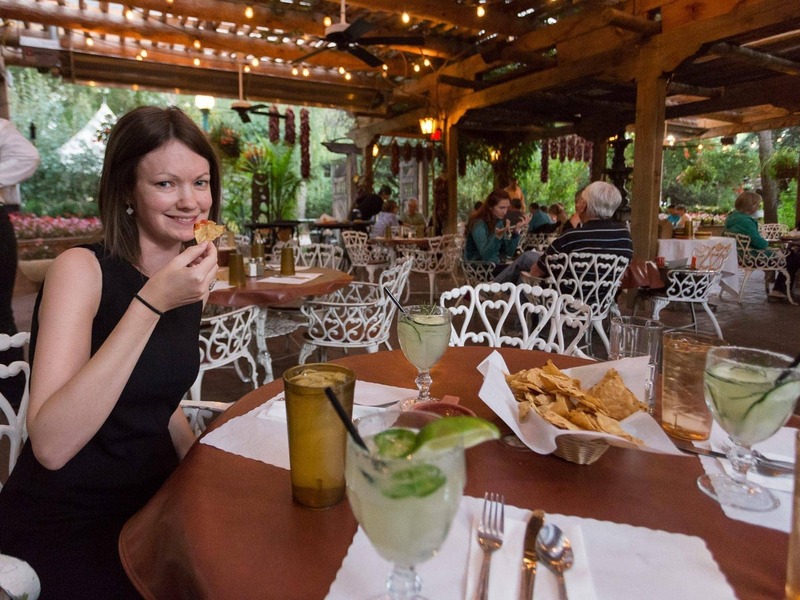 As the title suggests, this restaurant is a part of the Los Poblanos Historic Inn, which in its current form was built in the 1930’s – although the land has been run as a ranch for a while longer than that. Today, it’s open as a beautiful hotel offering luxurious accommodation, a fine-dining restaurant experience, and an organic lavender farm. We took a tour of the property and learnt a little about the history and architecture of the property and the families who lived here. Now on the register of historic places, Los Poblanos offers an insight into the lives of some of the people who made this corner of New Mexico their home, and feels nothing at all like the Albuquerque you may have imagined from popular TV shows. We also learnt about the farm to fork ethos of the restaurant – the property has 25 acres of land, and they try and use as many locally grown and sourced ingredients as possible in the restaurant. We also met the resident peacocks, who wander around as if they own the place. On to the meal. As we’d been invited to dinner, we were presented with lovely scrolls with our names on, which also had our featured menu. The food was absolutely delicious – contemporary and classic in a casual fine dining environment with a fairly European feel. We sat outside on the terrace, although indoor seating options are also available. As the name suggests, Farm & Table is a restaurant, but also a farm – split between 9 acres of grazing land, and 2 acres of produce. This means that whilst you eat you can gaze out at where much of the food on your plates comes from, which is both a lovely view and means that it’s hard to find food much fresher! 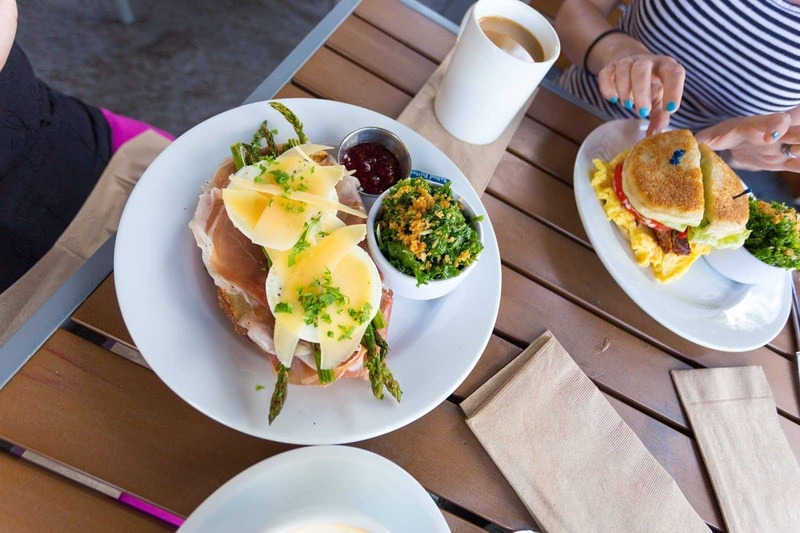 In operation since 1996, Farm & Table is one of the most popular brunch (and dining) locations in Albuquerque, and after our dining experience, it’s not hard to see why. The food is fantastic (you have to try the trio of pastries), beautifully presented, and the views from the sunny terrace are wonderful. 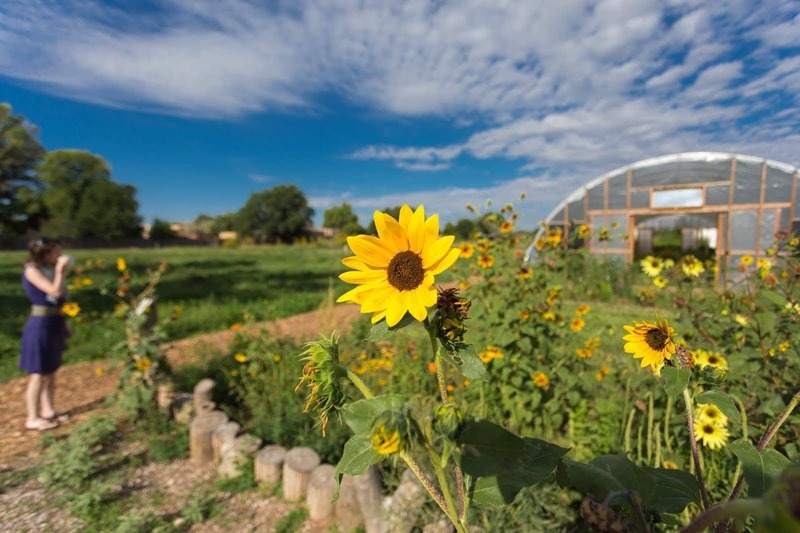 We also appreciated that we were free to roam the gardens, see where our food was coming from, and that the owner, Cherie Montoya, took the time to meet us and walk us through some of the property and produce farm. This is definitely a great spot for brunch. One last tip – spare a bit of time to visit La Parada, the next-door retail shop and sister business, which is housed in a 200 year-old adobe building. Featuring items from local artisans and artists around the world, it’s well worth a bit of your time exploring. 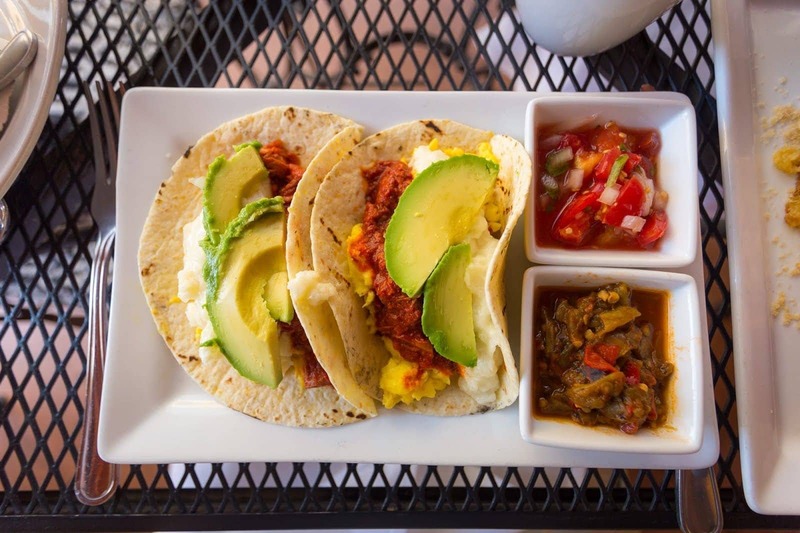 There’s a definite difference between New Mexican and Mexican cuisine, and if it’s the latter you’re hankering for, then head to Zacatecas Tacos & Tequila. Found in the funky area of Nob Hill in Albuquerque, Zacatecas is a “taqueria”, or a restaurant that specialises in tacos. Which should be pretty obvious from the name. 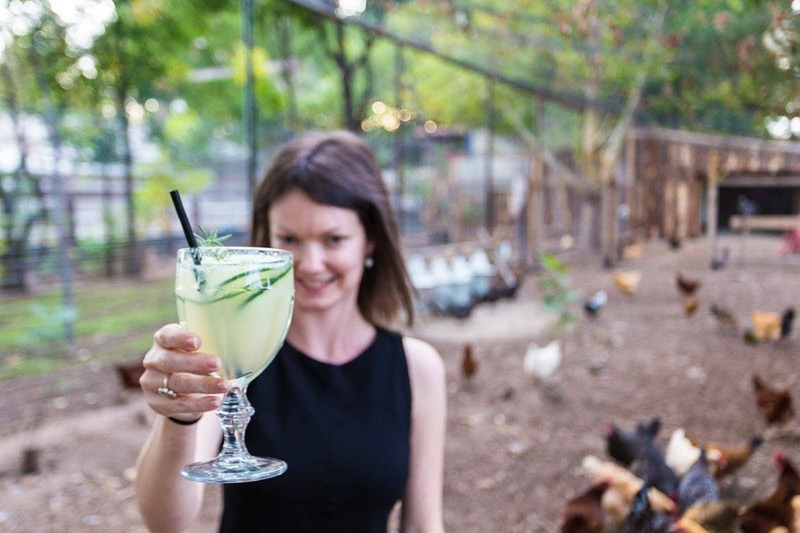 Also obvious from the name is their focus on another Mexican staple – Tequila! 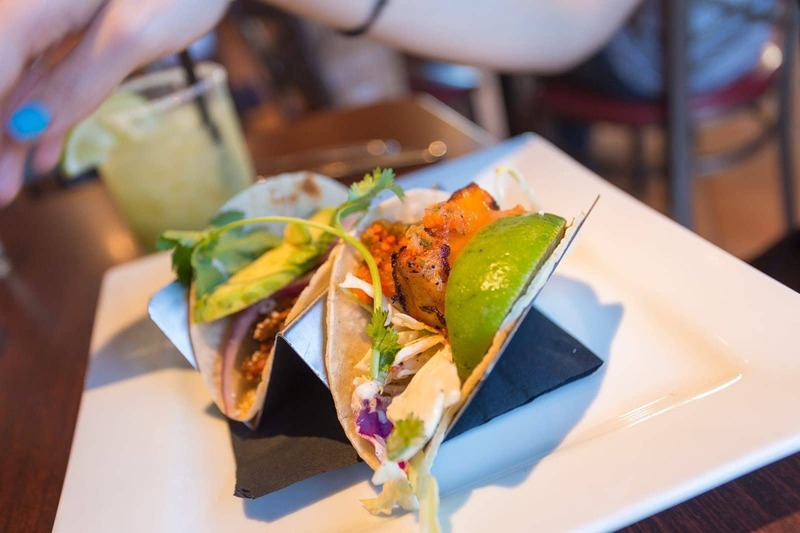 They have an extensive selection of both tacos and Mexican tequilas, as well as other Mexican dishes, ranging from Ceviche to sea food. Some of the menus items have a New Mexican twist, but this is definitely more of a Mexican experience overall. We enjoyed the tacos and ceviche very much, along with a delicious cocktail! They run daily happy hours, have a wide range of cocktails (and beers and wines!) to choose from and a fresh, fun decor. Best For: Tacos and Margaritas! And now for something completely different. 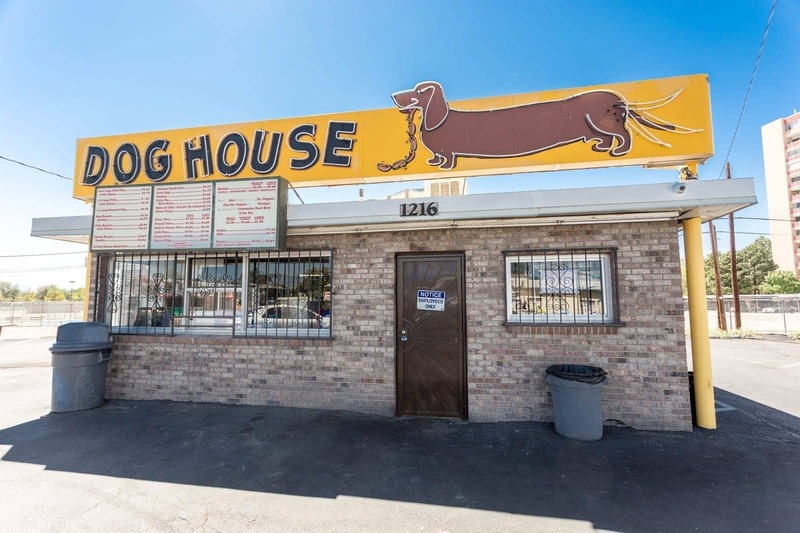 The Dog House is a Route 66 classic which has been serving up their signature foot long chilli coated hot dogs for over fifty years. So they must be getting something right. 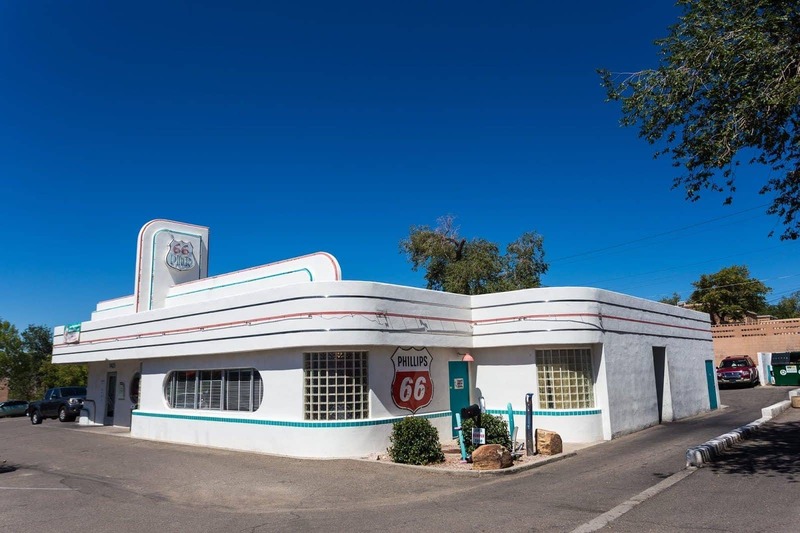 It’s not exactly a fine dining experience, but it’s definitely an experience, the hot dogs are delicious, the price is fantastic and it’s a classic piece of Route 66 and Albuquerque history. 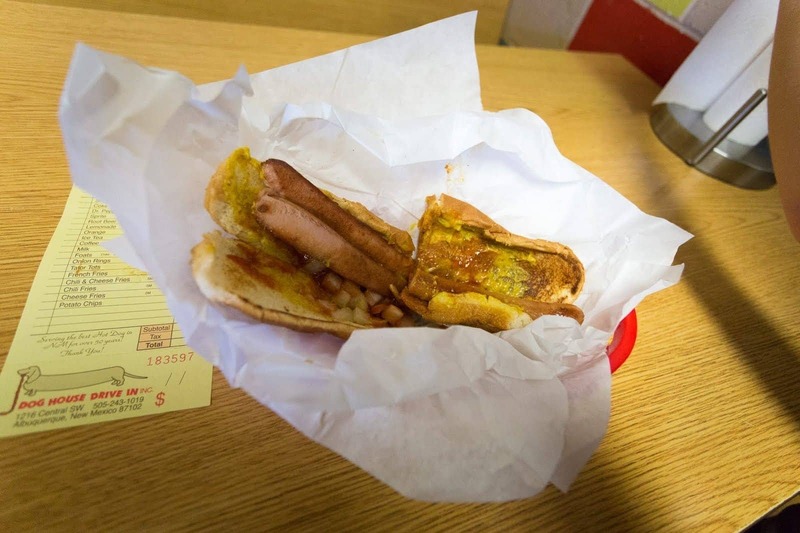 You can eat in or take out, and of course they have more than just hot dogs – other New Mexican highway staples like the green chilli cheeseburger are available. Want to believe you’re living in the fifties – sipping milkshakes, picking music on the Wurlizter, and paying cents for a gallon of gas? Well, look no further than the Route 66 Diner, which can offer you nearly all those things in a fun, vintage style diner. It’s got pretty much everything you’d want from a fifties themed diner, including wonderful decor, costumed staff, and the glorious neon lighting – hallmark of Route 66. Don’t miss the wall of signs outside! Albuquerque really has something for everyone, whatever kind of dining experience you’re looking for. If you’re more the eat on the hoof whilst sight-seeing, then Albuquerque has you covered with its food truck scene! 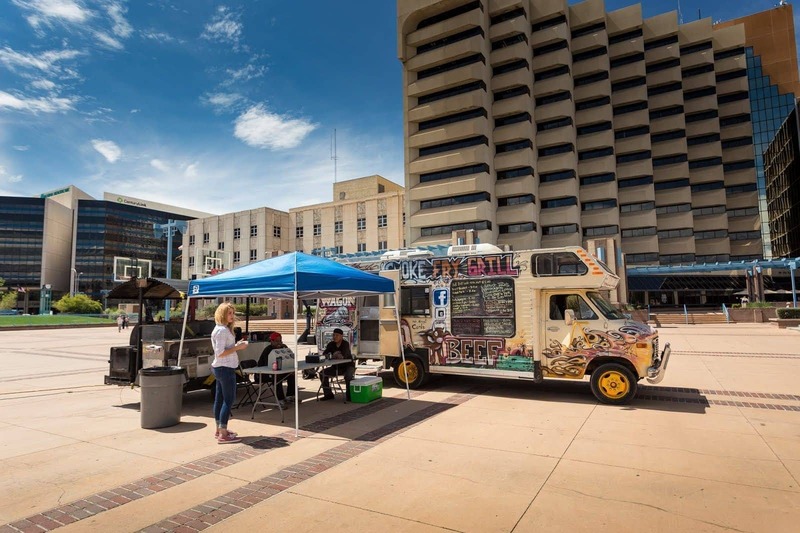 A good place to experience the food truck scene in downtown Albuquerque is at the Civic Plaza on a Tuesday, where a number of food trucks will set up shop. 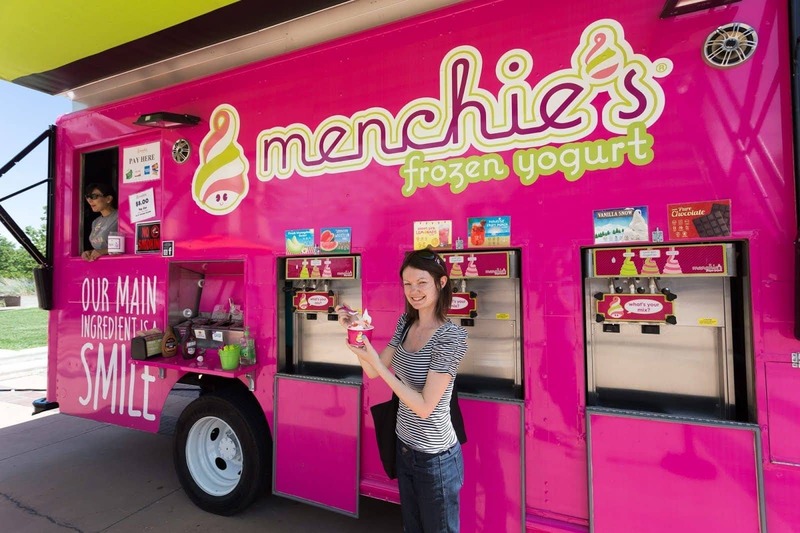 We found a number of options, including a BBQ food truck & a frozen yoghurt food truck when we visited – and since it was a hot day, we took advantage of the frozen yoghurt! You can find out more about which food trucks are where at this facebook page and also on this map, which should list recent locations for some of the more popular food trucks in the city. If for some reason you are starting to hanker for something a bit different to Mexican or New Mexican cuisine (variety is always good! ), then we can definitely recommend the Scalo Northern Italian Grill. 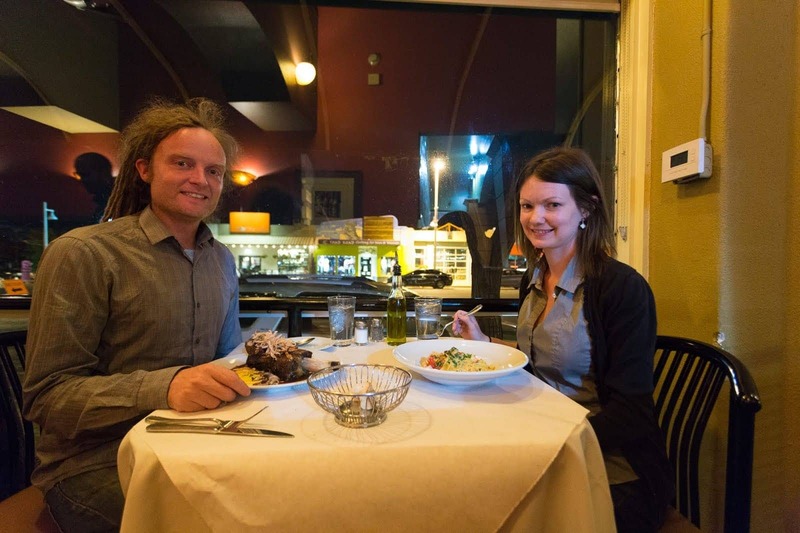 This offers up excellent Italian fine dining, with huge portions and a fantastic selection. 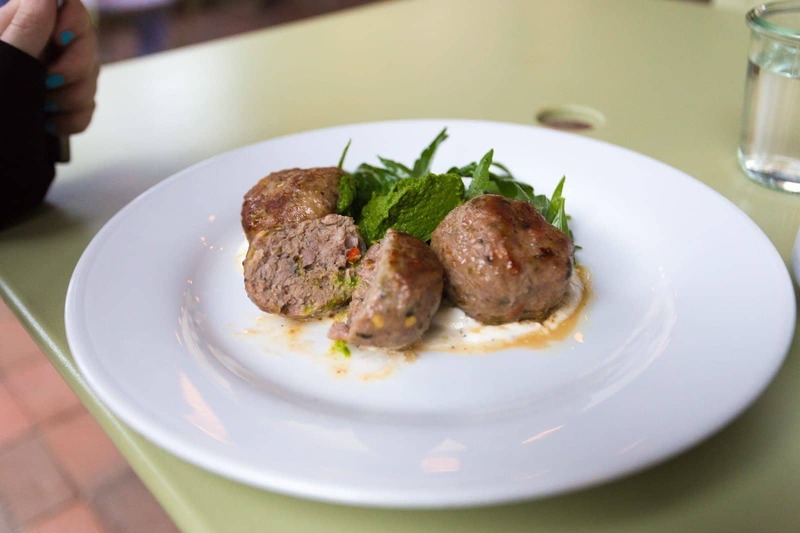 As well as staples like pizza and pasta, Scalo offers a great range of other Italian dishes, from Antipasti to fish and meat dishes. I can particularly recommend the Fritto Misto and the Costola Breve – the former being fried seafood, the latter being an incredible slow roasted beef short-rib. Bring an appetite here though – portions are generous! A bit of a curve-ball this one – but one of our favourite food experiences in Albuquerque, so it’s being included anyway. The Golden Crown Panaderia is a family owned bakery in Albuquerque which specialised in New Mexican baking. Their Green Chile bread in particular is fantastic, and they have some of the best biscochito’s in the state. As well as bread, they do sandwiches, pizzas and pastries, so you definitely won’t leave hungry, plus of course they offer a range of beverages. This place is a real Albuquerque gem, so make sure you visit. 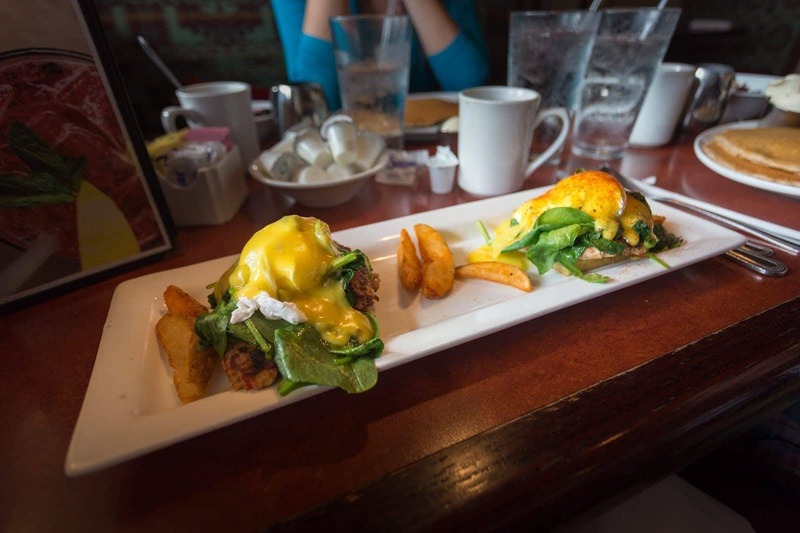 As the name suggests, the Standard Diner is a restaurant that seeks to provide an authentic American diner experience but with a modern, locally inspired twist. 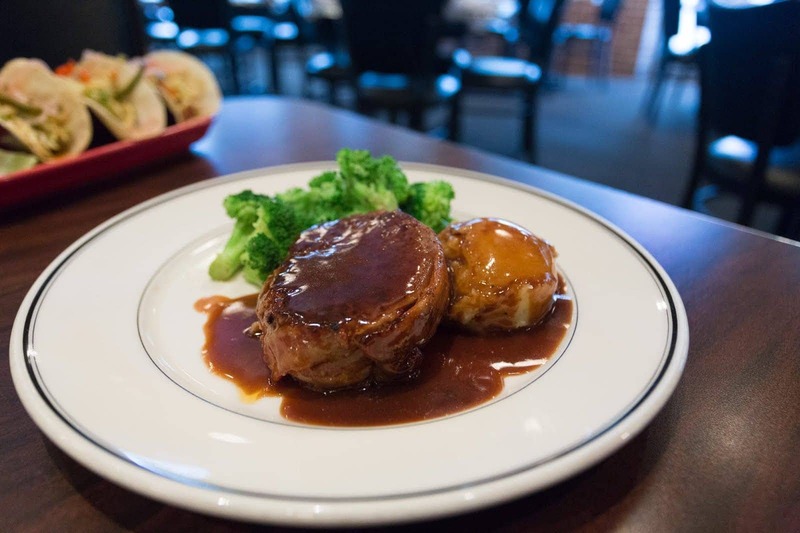 Menu items include such staples as Mac & Cheese and their famous Meatloaf, and this diner was made famous by an appearance on US TV show Diners, Drive-Ins and Dives. 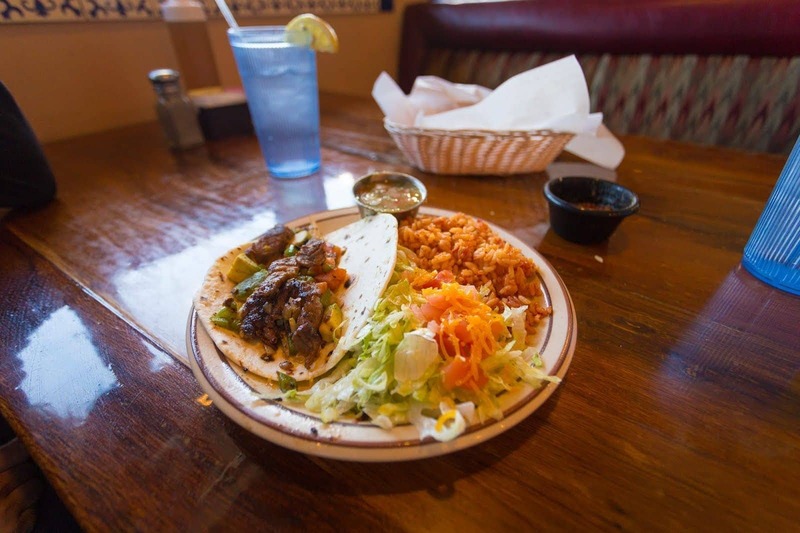 There are of course plenty of other options, including burgers, New Mexican staples and fish and meat options – definitely something for everyone. We definitely enjoyed the meatloaf as well as the decor, which evokes the Route 66 nostalgia, with booth seating, neon signs, and Route 66 memorabilia. Definitely worth a visit. 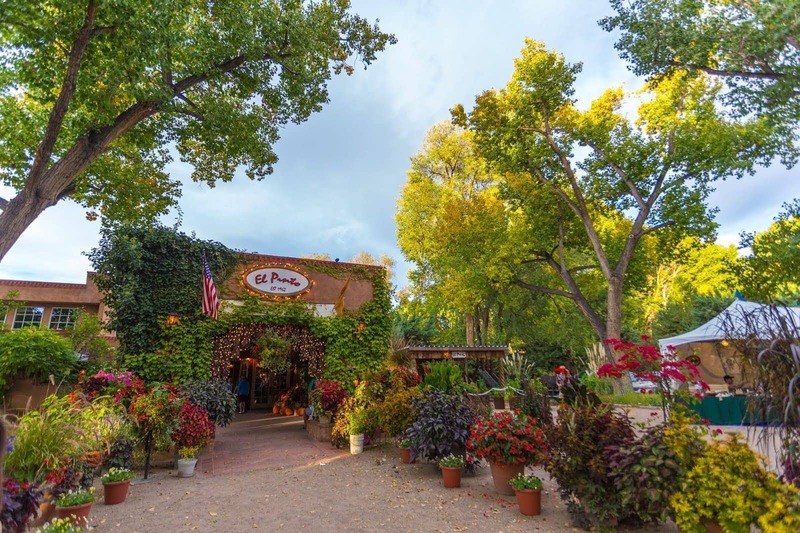 Whilst the old town of Albuquerque is well worth visiting, it’s not a place that many locals often come to – being generally focused on the tourist trade, with shops, restaurants and museums catering to visitors for the most part. There are a number of places to eat here, but the most regularly visited and recommended is the expansive Church St. Cafe – a Tardis like property that seems to go on forever. Housed in one of Albuquerque’s oldest buildings (around 300 years old), there are plenty of seating options, and we opted to dine outside. 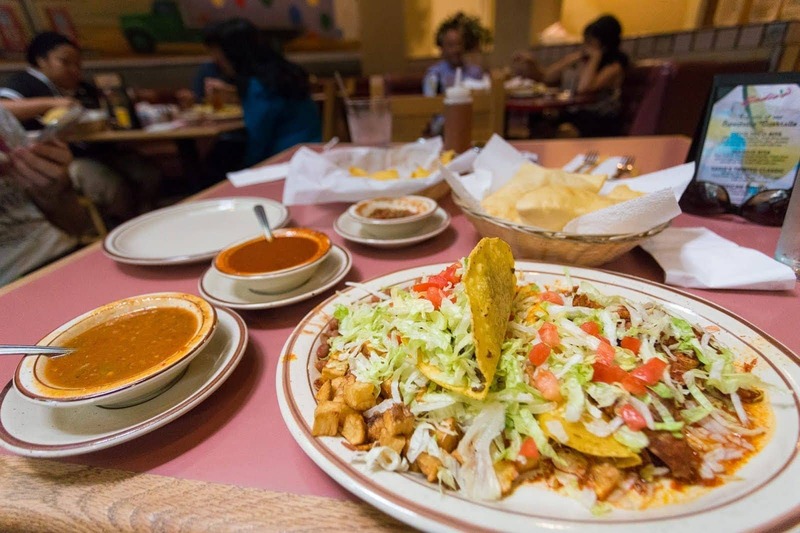 The meal choices focus very much on New Mexican dining, with the restaurant open throughout the day. Another of Jess’s go-to places from her time living in Albuquerque was Papa Felipe’s, located a short drive from where she used to live. It has been serving up great value tasty Mexican and New Mexican food for over 35 years. It’s particularly good value at lunch time when they have a variety of lunch specials on offer, which we took full advantage of, but it’s worth visiting any time of the day for a tasty feast of local favourites. Don’t miss the sopapilla’s – a fried pastry that you’ll smother in honey for desert and eat warm. Best for: Authentic great value Mexican & New Mexican cuisine in relaxed surroundings. 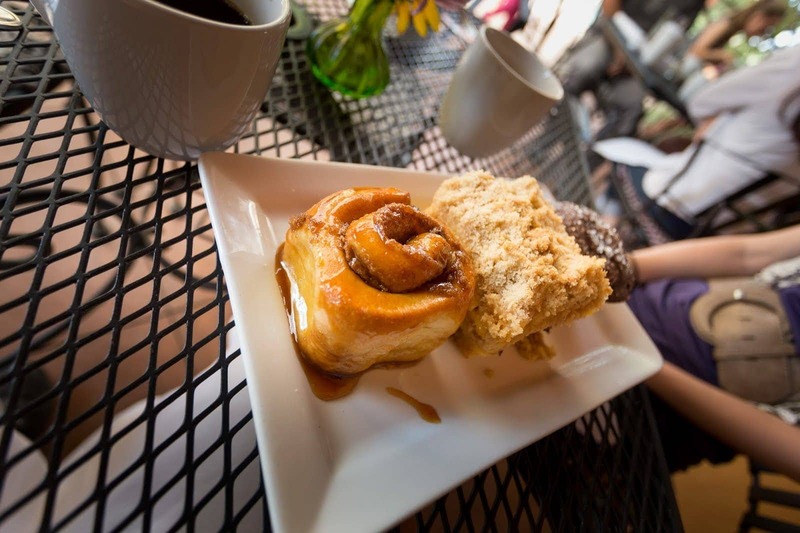 The Grove Cafe and Market in downtown Albuquerque is an excellent city centre location for brunch, meeting friends, and eating delicious local food. It was also the first place in Albquerque that I had a breakfast burrito in, which is an essential part of any New Mexico trip – a state where pretty much everything can be served in a burrito. This is no bad thing. 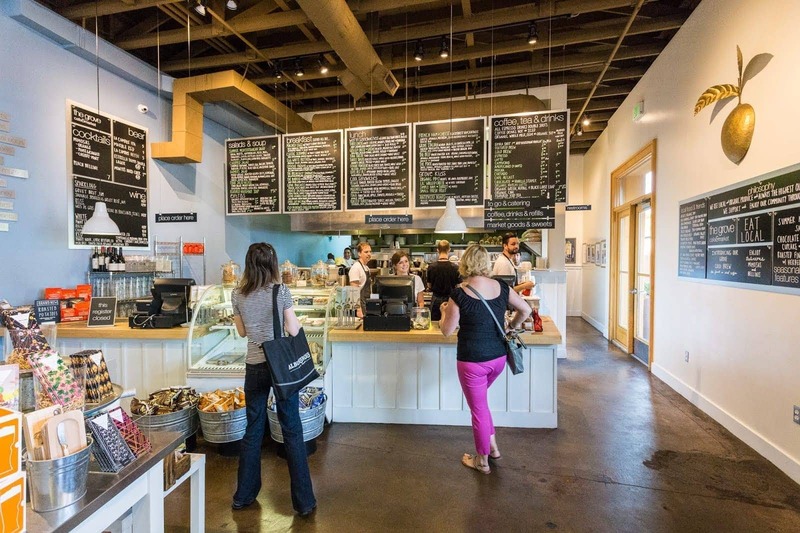 As well as wonderful brunches, breakfasts and lunches (or just coffee), the Grove Cafe and Market is, as the name suggests, a market. So you can pick up everything from recipe books to granola as you sip your coffee. 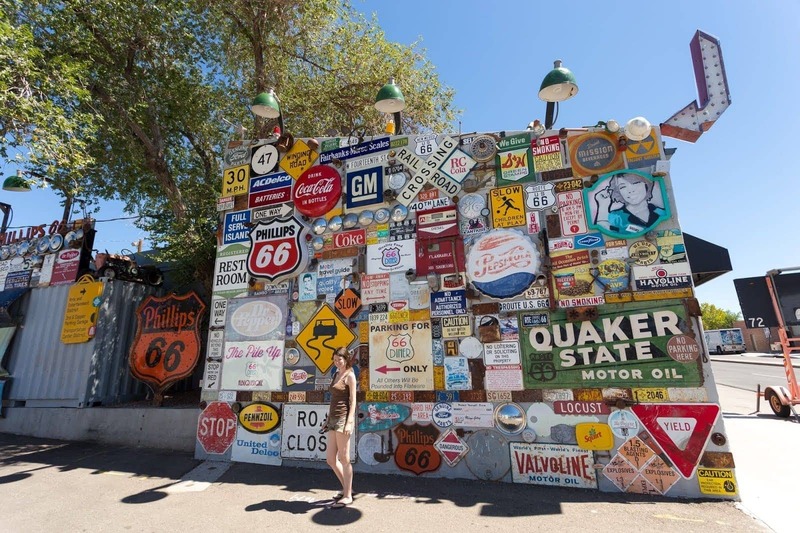 When we drove Route 66 through New Mexico and Albuquerque, Kelly’s was one of the places Jess made sure we visited as she loves the soup here. Housed in a former car dealership and service station, this brewpub has a large outdoor party, a full sports bar and some fantastic relics from its past. Of course, all of the above only go so far – the food has to be good to have made it onto our list. 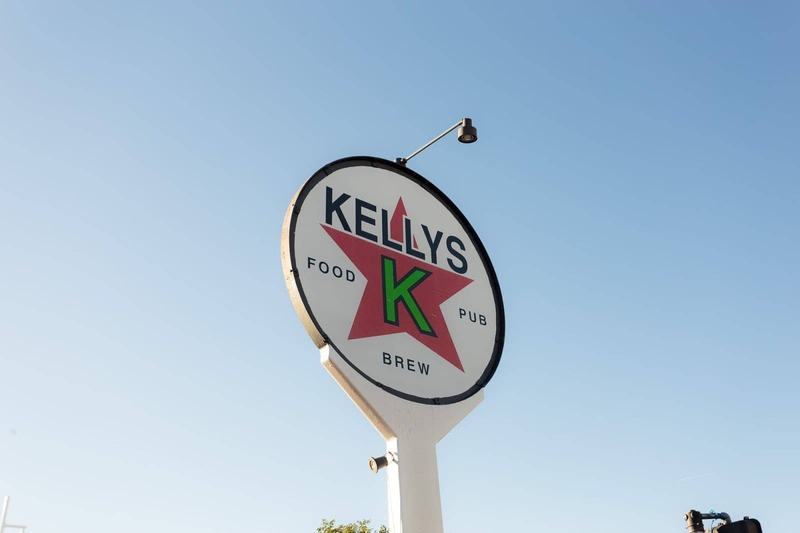 Obviously, Kelly’s doesn’t disappoint in this regard – the food focuses on American pub classics (think, burgers, wings, nachos, pastas and salads) – with the Creamy Green Chile Soup an absolute must – its been voted best soup in Albuquerque for years now, and for good reason! 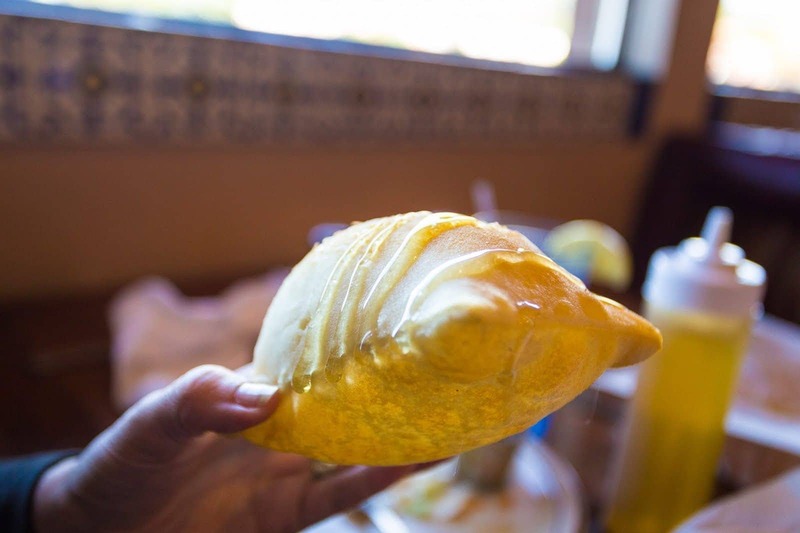 A New Mexico institution, Jess was super-excited to have the opportunity to visit El Pinto on our trip to Albuquerque. 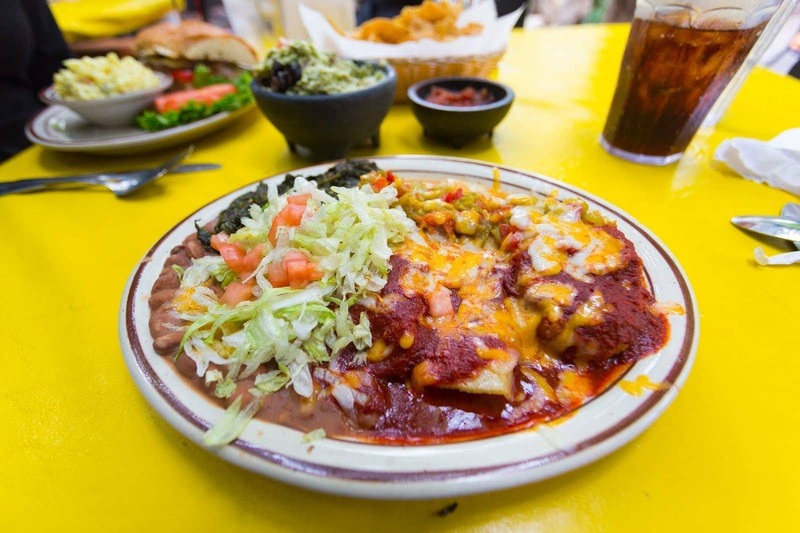 Running since 1962 (although greatly expanded since then), this family owned restaurant creates absolutely fantastic New Mexican cuisine – and has been voted as the city’s best New Mexican restaurant. Dining here is a wonderful experience, with a wide range of excellent meals to choose from, not to mention the largest Tequila Bar in New Mexico. They also make their own line of green chile sauces and salsas, produced on site. Finally, we were thrilled to meet their on-site chickens who supply them with eggs, and learn about the focus on sustainability. We had an absolutely incredible meal (and drinks) here, and on one of our trips to Albuquerque this venue was the last restaurant we visited in Albuquerque. It was a wonderful place to celebrate the end of our trip! 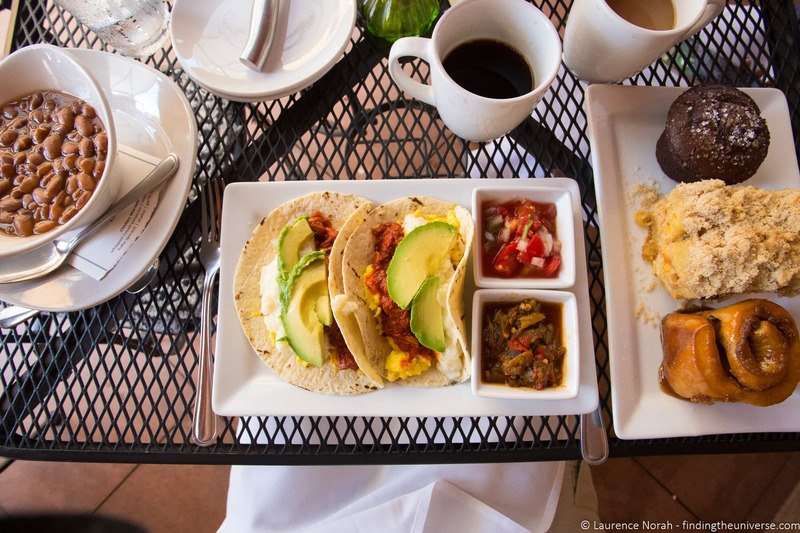 As this post has already hopefully made clear, there is a wide variety of dining options in Albuquerque, from fine dining to food trucks, and everything in between. If you’re after some classic New Mexican diner-fare (with huge portions! ), then you need to add the Owl Cafe to your list. 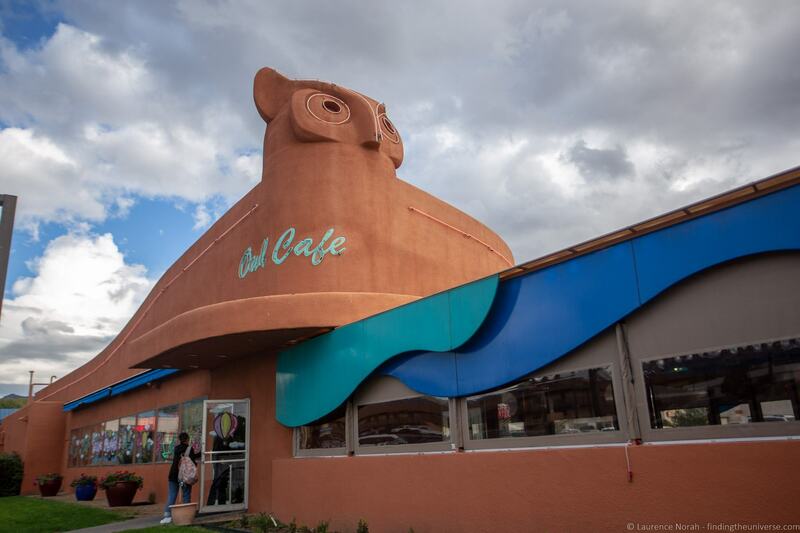 Established in 1986 in Albuquerque, the Owl Cafe has been serving fantastic food for over thirty years, including their famous OwlBurger, shakes, New Mexican classics and much more. Portions are very generous, and you’ll also be served their famous beans and green chile on arrival. 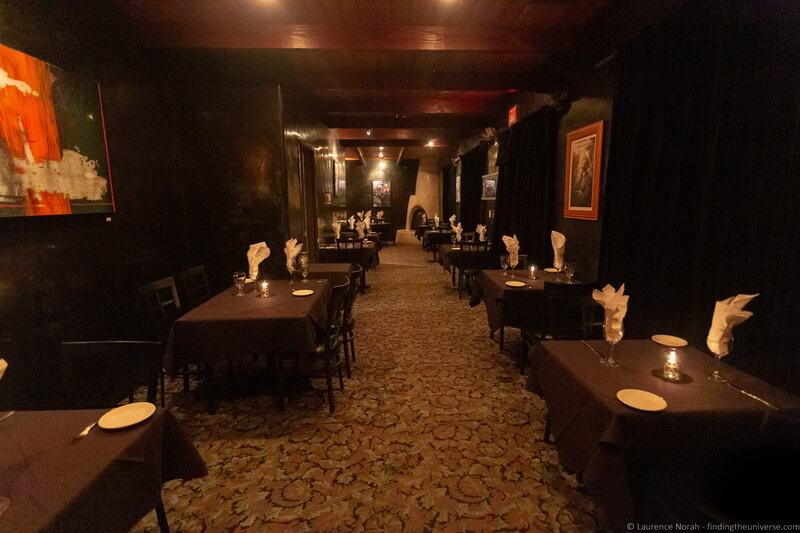 Established in 2017, Vernon’s Speakeasy is a relative newcomer to the Albuquerque restaurant scene. So on a recent visit to the city, we had to try it out for ourselves. 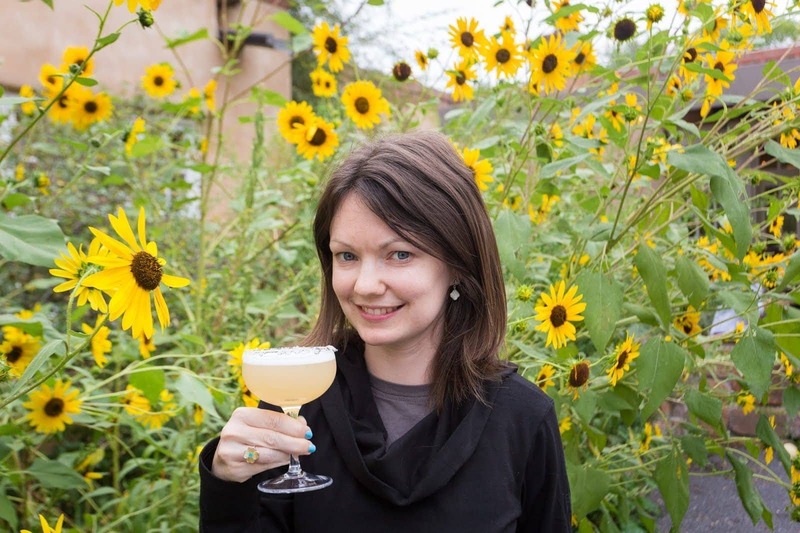 This offers a unique dining experience – echoing the “Speakeasies” of Prohibition-era America, where bars would often masquerade as restaurants. To get in, you access a fairly nondescript door, and you have to remember the password that you’re given on booking. The interior is very dark, and the serving staff are all in period costume, which makes it all feel very authentic. Of course, all this would be largely pointless if the food wasn’t good, and in this area, Vernon’s Speakeasy delivers in spades. We had the steak, which is what they are known for, and we’d say this was one of the best steaks we’ve ever had. 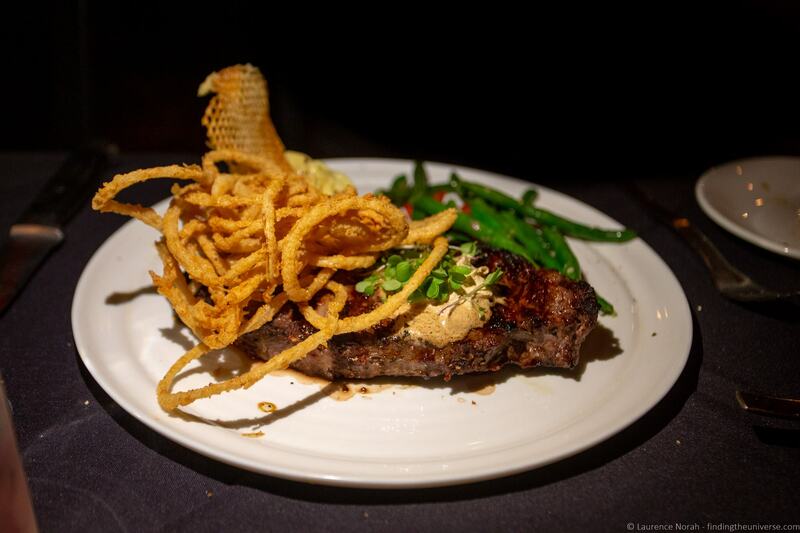 Prices are certainly on the high side (especially for Albuquerque), but the food and presentation make it worth it, especially for a special occasion. As well as food, there’s a good selection of beers and of course, prohibition style cocktails! 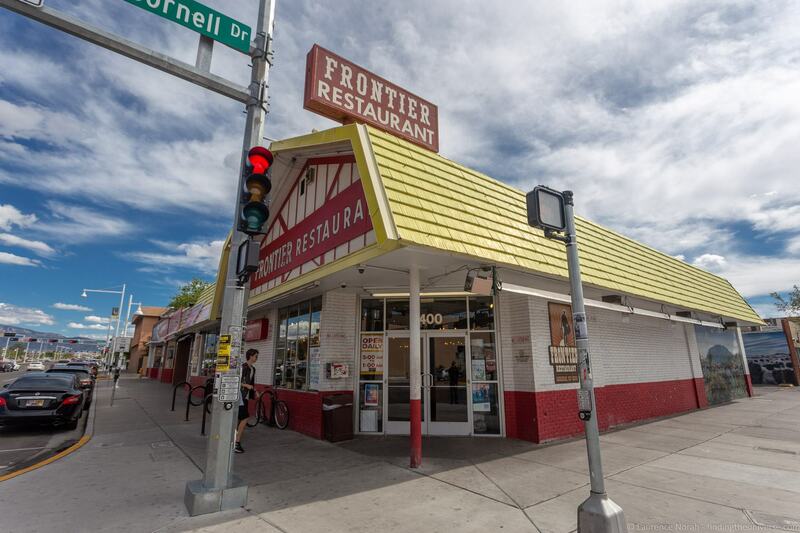 If you are in the area of the University of New Mexico, then a stop at Frontier Restaurant should be on your food list. In operation since 1971, they are well known for their breakfast options and sweet rolls, as well as a variety of New Mexican classics from burritos to burgers. Prices are good, and they’re also open from 5am – 1am seven days a week, meaning this also makes a great stop for an early (or late!) meal. There’s also room for over 300 people here, so it’s rare you’ll have to wait long for a table, or reserve in advance. 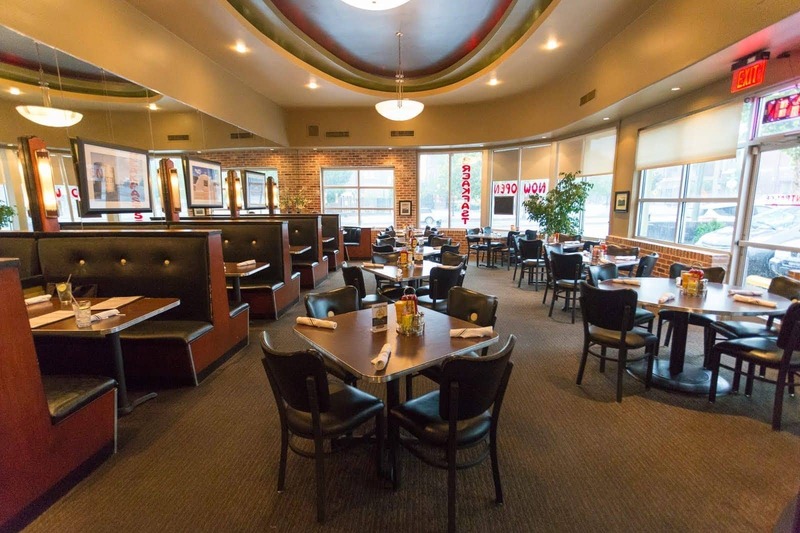 Another university favourite in this area is Saggio’s, which is well worth stopping by even if just to take a look at their spectacular interior decor. Of course, you might want to eat here too – this Italian restaurant serves up a range of excellent dishes from Pizzas to Pasta! 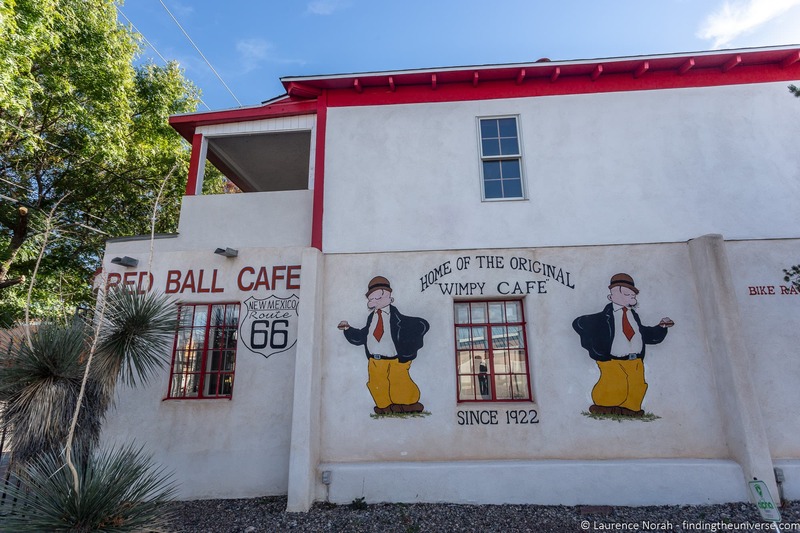 An Albuquerque and Route 66 institution since 1922, the Red Ball Cafe was sadly closed for many years. However, it re-opened in September 2018, and are serving up their classics again, including their Wimpy burger which dates from 1922! 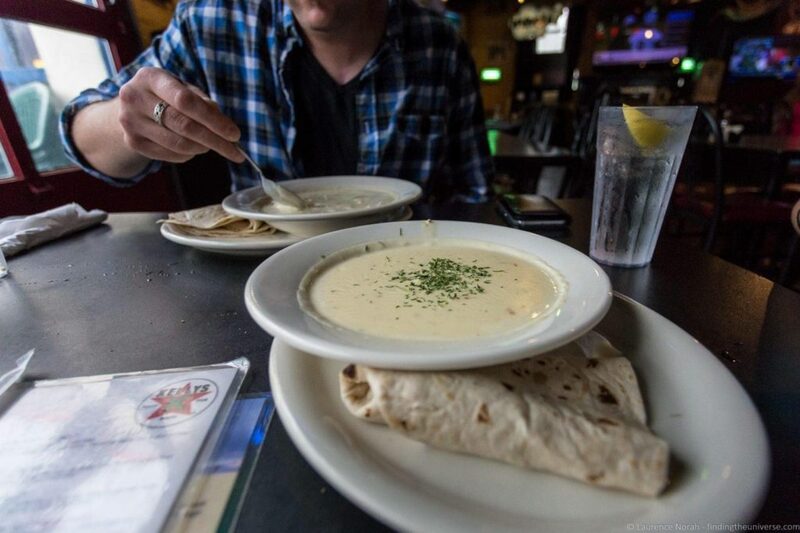 They also serve up Mexican and new Mexican dishes, and the new owner was a former employee at the cafe, so the tradition carries on. 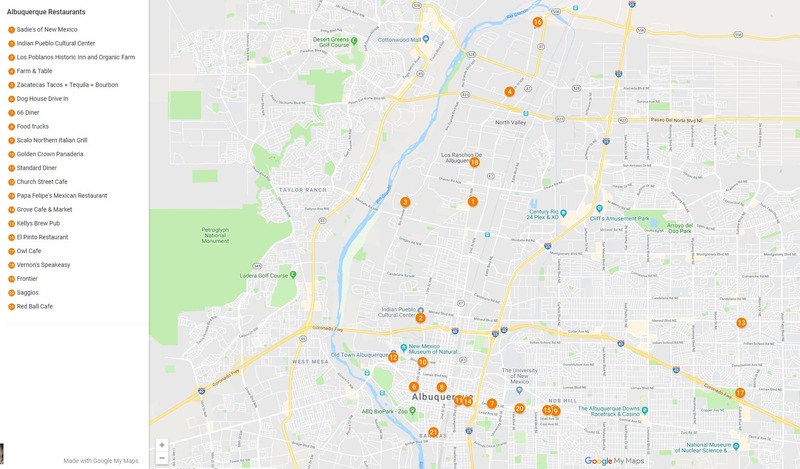 To help you plan out which Albuquerque restaurants might be near your accommodation or sight-seeing plans, we’ve put together this map, which includes all the restaurants in our list. You can also see this map on Google here. 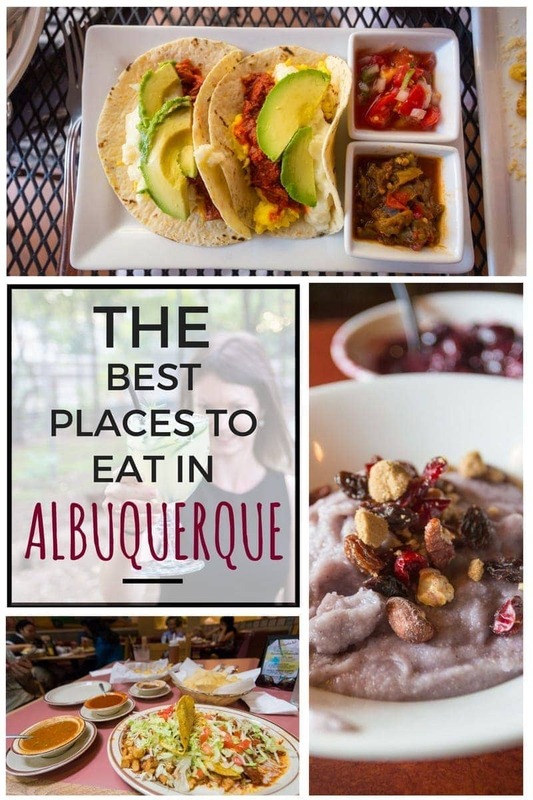 And that sums up some of our favourite places to eat in Albuquerque! Of course, we couldn’t cover all the locations in the city, and we’re sure we’ve missed a few top dining spots. One thing is for sure though, Albuquerque has some fantastic dining options! If you’ve got a favourite that we missed – let us know in the comments below, and as always, thanks for reading! Disclaimer – So you know, Visit Albuquerque hosted us at eight of the restaurants above, although we always covered our own gratuities and alcoholic beverages. Being hosted didn’t influence inclusion in the list – we’ve only listed our favourites! See more about our code of ethics for how we work with partners. Hi! Thanks so much for this great piece. I am looking for a place to host 40-50 people in January for a dinner, do you feel that any of these spots might make sense? Does not have to be super fancy. So definitely give them a shot. Thank you so much! This is great. I am going to send some inquiries today! We are visiting (non-work) in October and will be using your article for reference. Our pleasure! We’ll actually be in Albuquerque in October too, visiting for the balloon fiesta 🙂 We hope you find what you’re looking for!